Dr.Noelia Salgueiro-González was born in 1985. She obtained her International PhD in Fundamental Environmental Chemistry at the University of A Coruña on November 2015, based on the occurrence, distribution and implications of endocrine disrupting compounds in the environment. Since 2009, she is a member of the competitive research group Química Analítica Aplicada where she took part in different national and European research projects. She has also collaborated in teaching activities of the Analytical Chemistry Department at the same University (from 2011 to 2015). 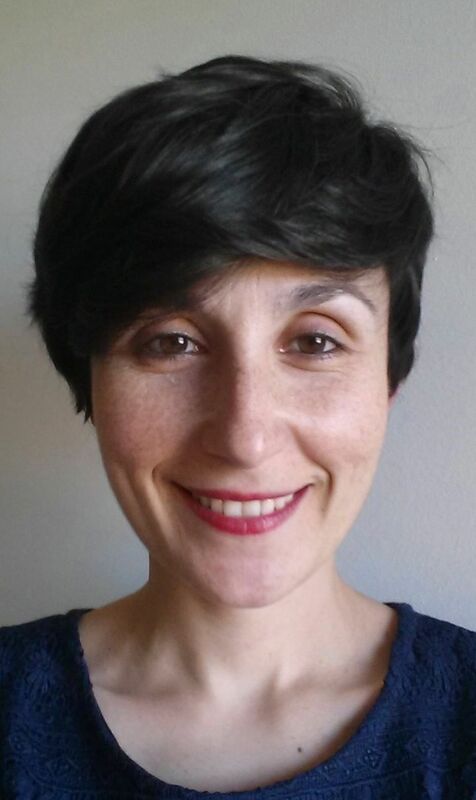 In June 2016, she was awarded a postdoctoral fellowship (Xunta de Galicia-GAIN) to develop new screening methods to measure new psychoactive substances in urban wastewater and biological samples. This postdoctoral research is carried out in the Department of Environmental Health Sciences at the Mario Negri Institute for Pharmacological Research in Milano (Italy). Her scientific trajectory is related to Environmental and Earth Sciences and can be summarized with more than 12 published articles in peer-reviewed journals (Q1) as well as conference presentations. 1. Development of analytical methods based on environmental friendly extraction techniques followed by LC-MS/MS. 2. Environmental and food analysis: implications in human health. 3. Qualitative analysis of untarget and (semi)target compounds in environmental, food and biological samples by high resolution mass spectrometry. 1) N. Salgueiro-González, M. I. Turnes-Carou, L. Viñas, V. Besada, S. Muniategui-Lorenzo, P. López-Mahía, D. Prada-Rodríguez. (2016) Occurrence of alkylphenols and bisphenol A in wild mussels samples from the Spanish Atlantic coast and Bay of Biscay. Marine Pollution Bulletin. 106, 360-365 (IF=3.099). 2) E. Rodrigues, M. Pardal, N. Salgueiro-González, S. Muniategui-Lorenzo, M. F. Alpendurada (2016) A single-step pesticide extraction and clean-up multi-residue analytical method by selective pressurised liquid extraction followed by on-line solid phase extraction and ultra performance liquid chromatography-tandem mass spectrometry for complex matrices. Journal of chromatography A 1452, 10-17 (IF=4.150). 3) N. Salgueiro-González, M. I. Turnes-Carou, V. Besada, S. Muniategui-Lorenzo, P. López-Mahía, D. Prada-Rodríguez (2015) Occurrence, distribution and bioaccumulation of endocrine disrupting compounds in water, sediment and biota samples from a European river basin. Science of the Total Environment 529, 121-129 (IF=4.099). 4) N. Salgueiro-González, M. I. Turnes-Carou, L. Viñas-Diéguez, S. Muniategui-Lorenzo, P. López-Mahía, D. Prada-Rodríguez (2015) Occurrence of endocrine disrupting compounds in five estuaries of the northwest coast of Spain: Ecological and human health impact. Chemosphere 131, 214-217 (IF=3.340). 5) Leticia Vidal-Liñán, Juan Bellas, N. Salgueiro-González, Soledad Muniategui-Lorenzo, Ricardo Beiras (2015) Bioaccumulation of 4-nonylphenol and effects on biomarkers, acetylcholinesterase, glutathione-S-transferase and glutathione peroxidase, in Mytilus galloprovincialis mussel gills. Environmental Pollution 200, 133-139 (IF=4.143). 6) N. Salgueiro-González, M. J. López de Alda, S. Muniategui-Lorenzo, D. Prada-Rodríguez, D. Barceló (2015) Analysis and occurrence of endocrine disrupting compounds in airborne particles. TrAC, Trends in Analytical Chemistry 66, 45-52 (IF=6.472). 7) N. Salgueiro-González, M. I. Turnes-Carou, S. Muniategui-Lorenzo, P. López-Mahía, D. Prada-Rodríguez (2015) Pressurized hot water extraction followed by miniaturized membrane assisted solvent extraction for the green analysis of alkylphenols in sediments. Journal of Chromatography A 1383, 8-17 (IF=4.169). 8) N. Salgueiro González, I. Turnes Carou, S. Muniategui Lorenzo, P. López-Mahía, D. Prada Rodríguez (2014) Analysis of endocrine disruptor compounds in marine sediments by in cell clean-up pressurized liquid extraction-liquid chromatography tandem mass spectrometry. Analytica Chimica Acta 852, 112- 120 (IF=4.513). 9) N. Salgueiro-González, María J.López de Alda, S. Muniategui-Lorenzo, D. Prada-Rodríguez, D. Barceló (2013) Determination of 13 estrogenic endocrine disrupting compounds in atmospheric particulate matter by pressurized liquid extraction and liquid chromatography-tandem mass spectrometry. Analytical and Bioanalytical Chemistry 405, 8913-8923 (IF=3.578). 10) N. Salgueiro González, I. Turnes Carou, S. Muniategui Lorenzo, P. López-Mahía, D. Prada Rodríguez (2013) Membrane assisted solvent extraction coupled with liquid chromatography tandem mass spectrometry applied to the analysis of alkylphenols in water samples. Journal of Chromatography A 1281, 46-53 (IF=4.258). 11) N. Salgueiro González, I. Turnes Carou, S. Muniategui Lorenzo, P. López-Mahía, D. Prada Rodríguez (2012) Fast and selective pressurized liquid extraction with simultaneous in cell clean up for the analysis of alkylphenols and bisphenol A in bivalve molluscs. Journal of Chromatography A 1270, 80-87(IF=4.612). 12) N. Salgueiro-González, E. Concha-Graña, M. I. Turnes-Carou, S. Muniategui-Lorenzo, P. López-Mahía, D. Prada-Rodríguez (2012) Blank and sample handling troubleshooting in ultratrace analysis of alkylphenols and bisphenol A by liquid chromatography tandem mass spectrometry. Talanta 101, 413-419 (IF=3.498).